Dr. DeMarco is a board certified Pediatric Urologist who completed his Urology residency at Indiana University and Pediatric Urology fellowship at Vanderbilt University. 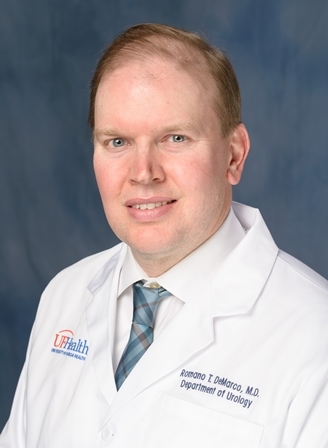 Dr. DeMarco has held faculty positions at Vanderbilt University and joint appointments at the University of Missouri-Kansas City and Kansas University when he was the Director of Pediatric Urology Research at Children’s Mercy Hospital in Kansas City, Missouri. Prior to joining the faculty at the University of Florida, Dr. DeMarco was the first Chief of Pediatric Urology at Sanford Children’s Hospital in Sioux Falls, South Dakota. Dr. DeMarco practices general Pediatric Urology. His clinical focus includes the evaluation and management of children with hypospadias, UPJ obstruction, vesicoureteral reflux, undescended testes, Spina Bifida, and pediatric stone disease. Dr. Bayne is board-eligible in urology. 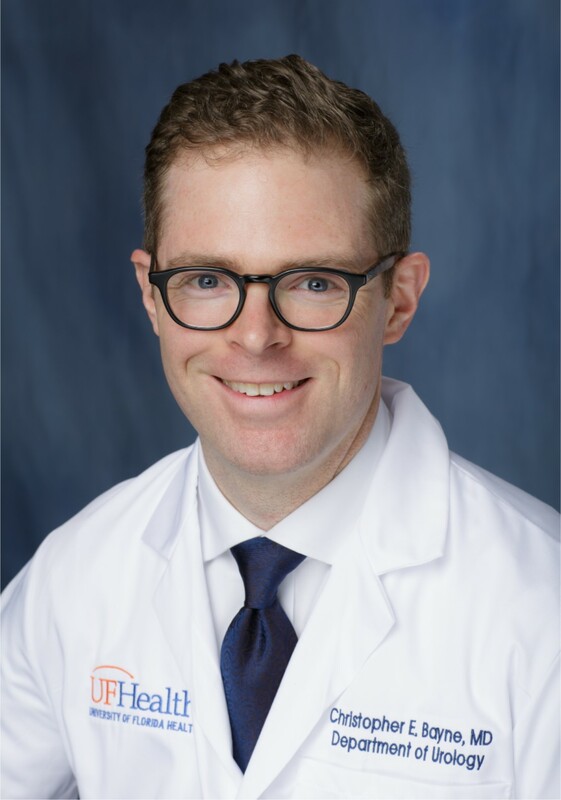 At UF Health, Dr. Bayne serves as a pediatric urologist and as an assistant professor in the department of urology. He earned his medical degree from Eastern Virginia Medical School in Norfolk, Virginia. Dr. Bayne served a residency in urology at The George Washington University and completed his fellowship in pediatric urology at Children’s National Health System in Washington, DC, in 2018. He has composed several manuscripts in publications such as European Urology, Journal of Pediatrics and the Journal of Pediatric Urology. Dr. Bayne practices general Pediatric Urology. His clinical focus includes Adolescent and transitional urology, Hydronephrosis, Hypospadias, Kidney stones, Minimally Invasive/Robotic Surgery, Neuropathic bladder and bowel​, Upper urinary tract and ureteral anomalies, Urinary tract infection, Vesicoureteral reflux. 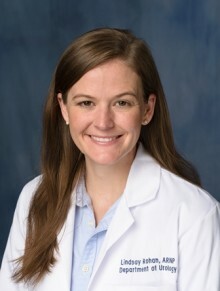 Lindsay Rohan is an Advanced Registered Pediatric Nurse Practitioner who obtained her nursing degree at the University of Florida in 2007 and her PNP in 2009. She has received extensive training in the diagnosis, management, and treatment of children with urologic conditions such as enuresis, bedwetting, recurrent urinary tract infections, and dysfunctional voiding. In addition, Mrs. Rohan has spent several years caring for children in both the outpatient setting and in the neonatal intensive care unit, where her duties included stabilization of newborns at delivery and providing care for sick and medically complex infants. Ms. Rohan’s training and experience make her uniquely suited to direct the Pediatric Continence Center and provide the highest quality care for our pediatric patients with incontinence and infections.